Over 2,000 cyclists began their trek to help the San Francisco AIDS Foundation and the Los Angeles LGBT Center. Riding a bike isn't just good for your health — it can help the health of the world. Participants in AIDS/LifeCycle have raised more than $15.1 million in the fight against HIV. The funds will support the San Francisco AIDS Foundation and the HIV-related service at the Los Angeles LGBT Center. AIDS/LifeCycle is the world's largest single-event fundraiser for HIV. Around 2,200 cyclists, assisted by hundreds of volunteers, began a seven-day trek Sunday from San Francisco to Los Angeles — a distance of 545 miles. Since its founding in 2002, it has raised $236 million. Joe Hollendoner, the CEO of the San Francisco AIDS Foundation, praised the "drive, compassion, and determination" of the "heroes" who helped raise this amount to fight HIV. “The commitment that AIDS/LifeCycle participants demonstrate to raising awareness and funds for HIV-related services is awe-inspiring,” said Hollendoner. “Without their drive, compassion and determination, our goals of reducing new HIV transmissions and increasing the health and lifespan of those living with HIV would be out of reach." 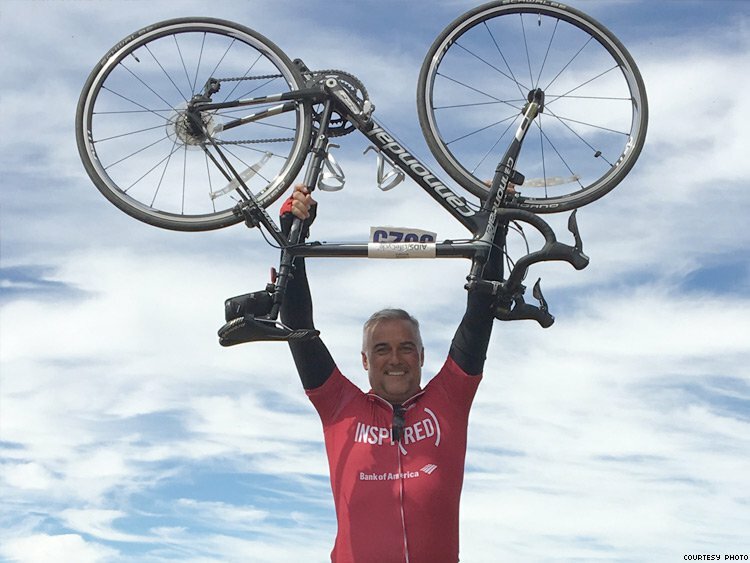 "I am proud to ride along these heroes as I participate as a cyclist in my first AIDS/LifeCycle," he added. Lorri L. Jean, CEO of the Los Angeles LGBT Center, stressed the continued necessity of fundraisers like AIDS/LifeCycle. Despite the ongoing HIV epidemic — it is estimated that 39,000 will be infected in 2017 alone — the Trump administration has yet to release a plan to address this crisis. Indeed, its proposed budget would deeply cut many research and prevention resources in the United States and abroad. Follow the journey of the AIDS/Lifecycle riders on aidslifecycle.org and on Twitter @aidslifecycle.